At Trans Plant Mastertrain we have been providing the highest level of fork lift truck training for over 25 years offering training at our purpose built training facility in Exeter or at customer premises. The Provision and Use of Work Equipment Regulations 1998 and the Lifting Operations and Lifting Equipment Regulations 1998 and the Health and Safety at Work Act 1974 require fork lift truck operators to be trained in the use of their equipment. The Independent Training Standards Scheme and Register (ITSSAR) is recognised by the Health and Safety Executive (HSE) and is a founding member of the ‘Accrediting Bodies Association (ABA) 2012 workplace transport’ their certification is nationally recognised by both employers and insurance companies. To book your training or for more information please get in touch using the details below. Costs and course duration vary according to your experience so please call us for a free quotation. This is priced on a daily rate plus travel. We do need somewhere suitable for the theoretical part and an area allocated for the practical element together with an assortment of loads. We strive to adapt our courses to be as non intrusive as possible on your business activities by adapting our training programmes to suit you. 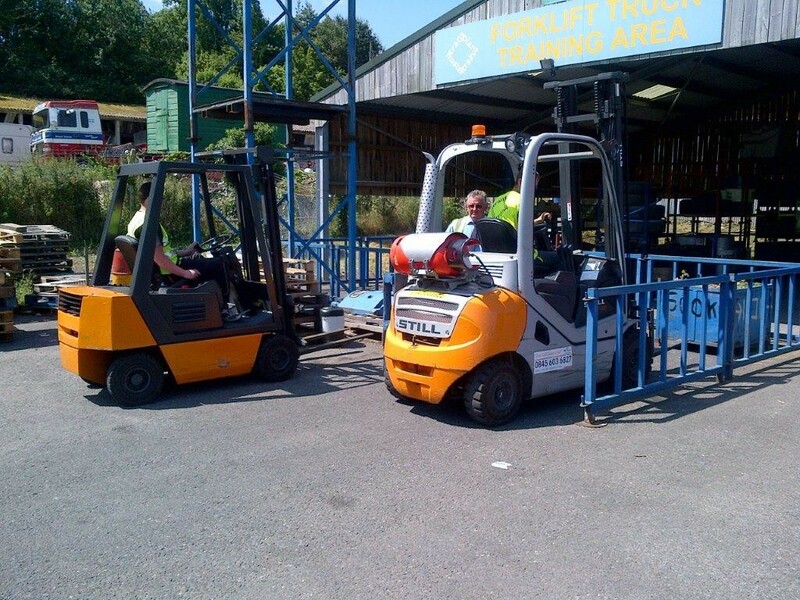 We offer excellent fork lift truck training facilities at our centre, which is situated on the Marsh Barton Trading Estate, Exeter, Devon. We have a purpose built sheltered training area for practical training and a training room specifically used for the theoretical element of the course. Refreshments are provided during the day to all our customers. Our rest room can be used for lunch or customers are welcome to use the restaurant at our centre or other numerous facilities on the estate. There is ample free parking at the centre and public transport available. The duration and price of the course is dependant on your experience generally ranging between one and three days. We offer a free assessment if you are unsure. Registration on the National ITTSAR database. We pride ourselves on making you feel welcome with excellent customer service and quality training. For ITSSAR registration there is a fee of £7 + VAT (£8.40) per person. Need financial help? Contact us and ask about a repayment plan. “Fully professional form start to finish. The trainer was full of the correct knowledge. Dealt with non English speaking students with respect and patience. I will be using Trans Plant again.” Keypak Food Group. To book your training or for more information about Forklift Truck Training please get in touch using the details below or visit our Contact Page.